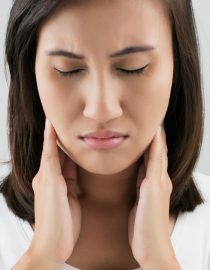 Did you know there is a link between migraine and thyroid issues? 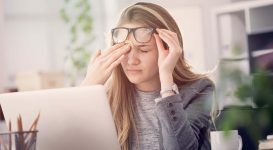 Migraines and a properly functioning thyroid are not only connected, but they are often the hardest to get a solid diagnosis for. 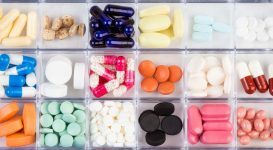 Many chronic conditions and diseases have what is known as comorbidities, which are basically other ailments you are more likely to develop if you have a certain condition. I already knew autoimmune diseases traveled in packs; I have lupus, a disease where the immune system goes into hyper-mode and attacks healthy tissues and organs, then I developed Hashimoto’s thyroiditis, where the immune system attacks and destroys the thyroid. I was told autoimmune diseases like mine — along with others like rheumatoid arthritis, diabetes and multiple sclerosis (all autoimmune conditions) — are more likely to develop if you have one of the others on the list. But nobody ever mentioned thyroid dysfunction could be connected to my sudden onset of chronic migraines. I connected the dots by chance, researching a bit about my increasingly problematic thyroid disease. 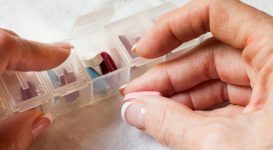 Basically, I had gone in for routine blood work to make sure the medication I take for thyroid hormone replacement, levothyroxine, was still doing its task. I soon learned it was not, and my TSH levels were the worst they had ever been. Meanwhile I have been getting killer migraines for the last few months — the worst I have ever had. My neck has this heavy ache that seems to blend in with my migraine pain, so much so I cannot determine where one leaves off and the other begins. I decided to type in the key words, “migraine and thyroid issues” to see if the pain and ache were connected. I found much more than I imagined. 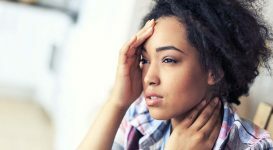 What I learned is thyroid dysfunction is a frequently comorbid disease with migraine, as well as acting as a frequent trigger for migraine attacks. There is also a gender connection, because, like with migraines, thyroid disease is most often found in women and can be influenced by levels of reproductive and other hormones. And guess what? Thyroid issues affect your hormones, which is why they can disrupt your normal menstrual cycle. Migraine and thyroid disease are often overlooked by doctors and diagnosis is not as simple as one might think. You may need to advocate for yourself for the right testing. When chronic migraine occurs, a frequent cause or trigger is thyroid disease or dysfunction. Thyroid conditions are sometimes not taken seriously even by doctors. The range of “normal” for blood work results is broad and it is not a one-size-fits-all, meaning you can be within the normal range, but it is not normal for you. It is vital for chronic migraineurs to understand thyroid conditions. Understanding and being proactive with doctors means you can receive the right testing and correct diagnosis of any thyroid dysfunction that may be increasing migraine intensity or frequency. What Test Will Your Doctor Consider? If you have a nodule (basically a small growth or bump within the thyroid) like I did, or if you develop a goiter (basically a swelling of the neck), an ultrasound is usually done by your doctor to locate and measure your thyroid gland as well as any growths found within it. This establishes a baseline that is referred to as your doctor monitors your condition over time. Nodules may be further tested with a needle biopsy, usually done if cancer is suspected. A low body temperature. Take your temperature in the morning before you get up. A chronically low one can be an indicator that you may have thyroid dysfunction. Changes in the appearance of your neck. Look for any noticeable swelling, which may look like a fatty deposit where you swallow and above your collar bone. If so, see your doctor and ask for thyroid tests. Check for symptoms of hypothyroid (low) or hyperthyroid (high) conditions. Write them down and tell your doctor. If you suspect you may have a thyroid issue, arm yourself with a complete list of your symptoms and ask your doctor to conduct the tests. If the results come back on the high end of the normal range, be willing to advocate for yourself that treatment may still be needed. 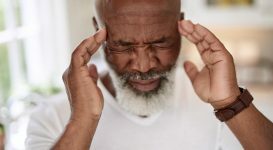 Migraine and other health problems are common, and it can be difficult to tell if your migraine is stand-alone or if there are other health issues at play.